Does Your Company Need a Document Management System? According to the Association for Information and Image Management (AIIM), document management systems (DMS) are defined as "the use of a computer system and software to store, manage and track electronic documents and electronic images of paper based information captured through the use of a document scanner." DMS technology can help companies reduce paperwork and the associated expenses, as well as increase productivity. According to Jeff Pickard, CEO of Lucion Technologies, "If computer and paper files are important to your business then a DMS should be considered." He continues, "There aren't many businesses I can think of that don't rely in some way on electronic and paper files," so a DMS is something that virtually every organization - regardless of industry or size - can benefit from. A DMS can be used to store and organize everything - from receipts and time sheets to price lists and personnel files. Pickard states, "From a one-person shop to hundreds of employees, there are DMSs for everyone. The important thing is to find the one the best fits your needs." There are affordable off-the-shelf solutions, such as Lucion Technologies' FileCenter application, which costs between $100 and $200 per computer (depending on version) through components of full-scale enterprise systems that can cost millions of dollars. Choosing the right system requires analysis of your business requirements. If you or your employees spend a lot of time and effort dealing with documentation - paper and electronic - chances are that a DMS would benefit your organization. According to StopWaste.org, "Of the pages handled each day in the average office, 90 percent are merely shuffled." That is a lot of wasted time. 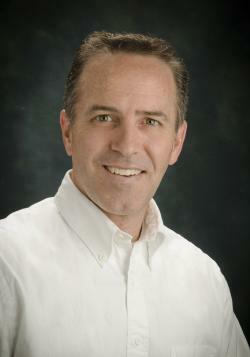 A good DMS can change your office workflow for the better," says Pickard. He clarifies, "DMSs are really about dealing with the constant flow of computer and paper files. If the daily flow of computer and paper files is high, then that business is a better candidate for a DMS." A key benefit of adopting a DMS lies with an increase in productivity, as you can direct resources into more productive areas when the flow of paper and computer files is streamlined. Pickard states, "A DMS can make people more productive and allow them to accomplish more. A good DMS can make daily paperwork processing routines more efficient and allow for better organization of paper and digital files." These things contribute directly to productivity. Locating paper records can be time consuming, and there are often issues with lost or misfiled documents. An Edge.com white paper states, "7.5% of all documents get lost, 3% of the remainder get misfiled." Further, according to statistics published on RJ Young's website, "On average, a U.S. executive wastes up to six weeks per year retrieving misplaced information." The risk of experiencing these types of problems can be greatly diminished with a DMS. DMSs index scanned images and allow users to add meaningful tags, which are criteria the system uses to index the electronic files. By adding meaningful tags and using them when you conduct searches, it becomes easier for you to locate documents as needed. When you can retrieve files faster, the end result is that you can deliver results faster. According to the CalCPA Education Foundation, this benefit of DMSs can lead to higher levels of customer service. After all, when employees can find electronic files immediately, they can meet customer needs faster than if they had to take the time to dig through paper records. When your records are stored in a DMS, there are no worries about unauthorized people pulling records out of file cabinets. According to the CalCPA Education Foundation, a DMS can be set up to limit access for specific types of records only to users who have been authorized to use them. The company can determine exactly who can see what documents, and even control who can edit them versus who can only view them. If your company has workers who telecommute, travel or work in multiple locations, a DMS will be particularly beneficial to you. As the CalCPA Education Foundation points out, "Digital files have functionality that is not possible with paper files." With this type of system, more than one person can access a single file at the same time - and even work on it simultaneously, regardless of where they are located. Even though bringing a DMS into your company will require an outlay of cash to purchase a system, you can save money in the long run. The return on investment (ROI) will vary greatly from one company to another, but there are many areas where savings can be realized. You can even save on facility expenses - particularly if you are paying for off-site paper records storage or are running out of space in your existing building. Look at what you spend in these areas and figure out how much you'll save by reducing (or eliminating) paper in your place of business, even in light of the cost of purchasing a DMS. If your company is committed to sustainable business practices, implementing a DMS is a key step toward reducing paper usage. Whether your company has a green initiative as part of its mission or vision statement or not, incorporating green practices into day to day business operations is something every company can be well-served by doing. RJ Young's statistics indicate that more than 800 million pieces of paper are used for computer printouts every day, and that 80% of paperwork that gets filed is never referenced again. Further, even with the advanced technology used in the business world, StopWaste.org reports that "the number of paper documents generated is growing at a rate of at least 22 percent per year" on average, just in the U.S. Just think how much paper waste could be eliminated if more businesses adopted DMSs. As with any computer system, it is critical to back up the information stored in your DMS. You'll need to work with your IT team to establish backup protocols to ensure that you aren't at risk or losing key system data due to a system failure or other emergency scenario. 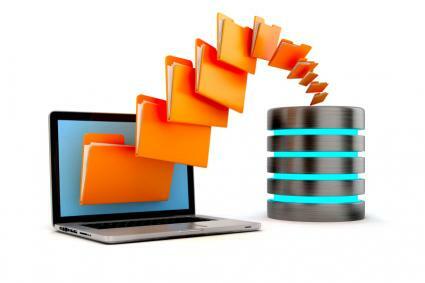 This may include daily server backups, off-site data storage, cloud storage, or some combination of these methods. Follow best practices for backup and recovery for all of your business data. You'd be hard pressed to identify any business that wouldn't benefit from utilizing a DMS. The scale needed will vary based on the size of the company, nature of the business and whether the company's goal is to go paperless or simply to streamline the flow of paper and computer files, of course, but the benefits of DMSs are hard to ignore.